It’s not just the promise of new scenery that inspires us to travel, but the prospect of change itself. We want our journeys to transform and construct us as individuals, and leave marvelous tales to reminisce upon with friends and family. When online social atmospheres surround us with the the stories, impressions and memories of others, it’s only natural that we crave a remarkable, personalized adventure, on that brings a sense of freshness strong enough to separate us entirely from our day to day grind. Individualized travel plans are demonstrably preferable to generic vacations, according to 85% of respondents in a study by American Express. This study, and many others like it strongly validate the impression left when browsing travel oriented digital media: that the majority of travelers, regardless of age, do, in fact, prefer to travel on their own terms. Digital marketers are catching on to this push for experience-based personalization in travel, and to a degree, they are actually manufacturing it. As drivers of the $7.5 trillion tourism industry, online travel advertisers have trillions of incentives to better facilitate specific consumer wishes. Consider how a recent upswing in concert and music festival attendances directly corresponds with a drop in spending on recorded and produced audio; also consider how Coachella’s marketing team engages music fans across over a dozen social media platforms, and uses trackable URLs and data analytics to develop and advertise an interactive app for streamlining logistics and connecting concert attendees. Coachella’s ad team succeeds in drawing crowds from across the globe because they acknowledged a vital travel fact: unique experience is in, while passive activity is fading in popularity, especially among millennials. By enabling relevant tools, and allying themselves with platforms that paint travel as a type of social capital, to be collected and exchanged among friends and followers, digital marketers insert themselves into the conversation, not as interruptions, but as complementary assistants in facilitating wild dreams of travel. Big data plays a major role in allowing digital marketers to pinpoint and cultivate vacationers’ travel preferences. According to a report by Selligent, 83% of millennials are willing to allow travel brands to track their digital history, if the tradeoff results in travel options better calibrated to personal tastes. Travel marketing teams may hire online marketing companies such as Net Conversion, or ActionX, which perform data-oriented services like tracking search keywords to enable targeted advertising. For instance, a customer concerned with pricing who searches for accommodations using keywords such as “cheap” or “budget” might receive banner ads depicting value hotel deals. In this way, advertisers create personalized travel where it may not otherwise exist; without targeted ads, those travelers looking for budget hotels might never have found an option tailored specifically to fit their needs. There is an exciting development on the horizon, one which unites AI with big data to metamorphosize travel marketing. The introduction of virtual travel assistants could allow smartphone users to access an automated service (provided by travel companies) for personalized suggestions on local restaurants, attractions, and activities according to predetermined criteria. One survey reveals that 94% of Tripadvisor’s 300 million users already use smartphones to research localized information, and virtual assistants such as Google’s Assistant and Siri were popularized years ago. Combining and simplifying these processes using automated assistance to channel user data, and craft ideal search results seems like a logical next step. Online booking service HotelTonight has already taken the AI initiative, creating a virtual concierge function accessible throughout over 30 cities. Any marketer can confirm that travel trends exist in a state of flux, however our desire for a more personalized travel experience shows no indication of disappearing; it’s a sentiment constructed by a digital marketing strategy which employs data-based insights to offer unique options, and kept alive by the innate magnetism of the unfamiliar and extraordinary. With a few short clicks, we send electricity traveling through silicone and fiber optics, instantly transferring worlds of info across a journey through a slew of vivid, scenic digital destinations. Every internet user chooses the data with which they interact; each of our unique online preferences treats select pieces of the web to a personalized cruise through the datasphere. It only makes sense, therefore, that the data we send sailing through cyberspace should treat the travelers among us to a streamlined, personalized trip planning experience. I’m happy to report that the internet is now achieving just that. Thanks to the soaring popularity of online travel services, as well as the birth of travel apps designed to ease the burdens of cost and planning, vacationers and nomads alike now hold in their smart devices a means to manufacture the ultimate getaway. Digital advances have made it not just possible, but easy for internet-savvy travelers to build unique itineraries which account for tastes in anything from cuisine to nightlife. Want to sip red and backstroke through watery wonderlands in the Mediterranean’s hidden corners for two months? Or maybe you prefer two weeks moving to the mesmerizing, static pulse of Barcelona’s nighttime scene? Even tourists who simply want to witness Rome’s famed sights for a few days can use internet travel tools to locate the perfect custom or pre-designed trips, conserving precious time and energy for what really matters: the trip itself. Many might picture their dream trip playing out like some kind of wild adventure, where new people and novel situations clash and blend into something truly unforgettable. Online hospitality marketplace Airbnb (which I’ve mentioned briefly before in a previous post) adds a dimension of reality to this ideal; rooted in the philosophy of sharing, Airbnb offers users the opportunity to reserve privately-owned, affordable lodgings in offbeat locations, and pay reasonable fees to participate in unique, fresh activities and locally hosted events. By cutting commercialization from trip plans and instead emphasizing unique, hyper-customizable experience, technologies such as Airbnb are molding a new industry standard for travel management, one which other popular travel sites have been all too keen to make their own. Expedia, for example, recently acquired (and has been aggressively advertising) vacation rental site HomeAway. No matter which they prefer, planning service can only take travelers so far. Undertaking an extensive trip, especially in an unfamiliar country, can throw roadblocks in the paths of even veteran voyagers. Fortunately for modern travelers, a number of ridiculously useful (and usually free) travel apps have cropped up in Apple and Android marketplaces. Citymapper is a must for navigating public transport in dense cities where movement can get messy. Livetrekker logs a digital journal of your travel trajectory, which can be tagged with pictures, video, and more, so you can look back with nostalgia (and a little pride) at how far you’ve come. XE Currency converts funds, Rebtel makes calls without wifi, and yes, there’s even an app that prevents sunburn. All of these tech tools harmonize to create a singularly memorable travel experience. Sophisticated travel planning options which consider our wants as well as our wallets, and apps which smooth travel wrinkles and keep your trip on track have rendered travel nearly effortless. In fact, I’d imagine the only truly impossible thing to do when traveling these days would be coming home without worthwhile memories. Travel entices nearly everyone. When we dream of walking crystalline beaches, wandering blissfully lost past nature’s most idyllic creations, or navigating the strange buzz of an exotic mega-city lit up at night, it’s difficult to be anything but enthralled. In fact, I’d bet that if most people could, they would take their friends, their loved ones, and travel together nonstop. But that dream comes with an unfortunate caveat: reality. The reality of most of our situations leaves us unable to travel; we’re too busy working, providing. Living. Such thoughts make for wonderful daydreams, but our real preoccupation is with life. Virtual reality could change everything. If we can convincingly sink ourselves into virtual landscapes, experiencing in staggering depth and clarity the sights and sounds of faraway places, VR may one day be able to fool our senses into traversing the globe (and beyond), without leaving the convenience of home. As it stands, the technology is still raw; it has yet to trickle fully into the mainstream, and what we do have is only a fraction of what might be achieved with VR. Nevertheless, wearable VR has improved substantially since the colossal market failure of reality augmentation device Google Glass only a few years prior. Personal VR headsets which offer levels of visual immersion bordering on realistic are now produced and sold by companies such as Oculus Rift, Sony, and Samsung, and efforts to create virtual travel experiences are already well underway. State-sponsored tourism channels have been among the first to accept VR’s potential to show us what we wouldn’t otherwise see; in November 2016, Thailand’s Tourism Authority released a series of 360-degree videos, which included depictions of an elephant sanctuary, as well as western Thailand’s Kung Lao cave. “We want consumers to be able to touch, feel, see, and hopefully one day smell Thailand,” comments Steven Johnson-Stevenson, Thailand’s tourism marketing authority for the eastern United States. Tourism Australia has also published a number of 360 degree videos, including clips of a Sydney sunset, and snorkeling among the Great Barrier reef’s vibrant wildlife. Another one of VR’s valuable travel applications is its ability to allow prospective vacationers to sample locations, in order to decide on the ideal setting. Travel companies such as Delta Airlines and Lufthansa use Oculus Rift to give a taste of what their services offer; also, the Thomas Cook Group launched a “fly before you buy,” initiative, implementing VR to spirit browsing customers away on a helicopter journey above Manhattan, a trek straight up the Pyramids of Giza, and more. Marriott has taken VR vacation sampling a step beyond the rest; in 2015, the hotel chain rolled out its interactive “teleport stations,” which utilize Oculus tech to entice customers, displaying across all five senses the virtual details of Hawaii’s breathtaking obsidian beaches. But we’ve seen VR do more than just simulate a destination; it can also introduce an intriguing layer to our travels themselves; for example, VR app Timelooper transports users back in time by simulating major historic events at particular locations. “When you visit a historical site, there’s an abundance of resources to understand facts and figures—when it was constructed, how it was made, how people lived there at the time—but the thing that’s missing is a way to emotionally and immersively connect connect with these places,” elaborates Andrew Feinberg, Timelooper’s Chief Operating Officer. From simulating a compelling, virtual version of travel to augmenting the journey itself, there seems to be every reason to conclude that in coming decades VR will undoubtedly hold sway over where we go, how we get there, and what travel actually means. To read Part I in the “New Frontiers” series by Bruno Villetelle, titled “What Has Technology Done to Better Travel?” click here. As someone whose love of digital technology is surpassed by few things, it’s not often that I find myself able to connect that love with something that excites me to as high a degree. I have, however, found such a connection between myself, travel, and digital technology. And the future of those things excites me a great, great deal. Some people aren’t excited by travel. Some people don’t have that inherent “wanderlust” that those like myself are born with and develops over time. But regardless of your experiences of stances or passion regarding travel what the future has in store for travel–the new frontiers that the digitization of the world affords us–in the hands of the likes of Elon Musk is a difficult concept to ignore. The future is very, very much on the horizon, and the more we continue to embrace the digital revolution, the further we can push the limits of travel. People like Elon Musk aren’t just changing the luxuries we are afforded when we travel, he’s on a mission to change every facet of exploration from top to bottom. And from one travel lover to another–I couldn’t be happier. Musk’s vision of a Hyperloop-laden future has already been touched on in this post, and though it will certainly revolutionize the way we as human beings travel the world, much of the real interest lies in how we’ll travel other worlds. The future of interstellar travel is quickly becoming the present of interstellar travel. People like Musk have passed through the phase of dreaming about traveling to the moon and begun bringing that dream to reality. His organization SpaceX is hard at work on expanding the current offerings for travel–no more will we have to choose between destinations limited solely to those on the Earth. If SpaceX is successful, interstellar could become a norm–an expensive norm perhaps–but one that is, in our generation, a possibility. Recently, Musk announced he plans to send two people to the moon by 2018–giving him under two years to put the pieces together and solve the problems that any interstellar traveler is wont to run into. But rocket science, engineering and design aren’t the only things that complicate the space-faring process. Healthcare–or the lack of it–makes interstellar travel incredibly difficult. This is where we can introduce digital technologies. Health complications in space go beyond headaches, bumps and bruises. The radiation an astronaut experiences during spaceflight can wreak havoc on the central nervous system. Studies of astronauts show that they die of cardiovascular disorders at 4 or 5 times the rate of those who haven’t been to deep space. And the potential health issues certainly don’t end there. Both emergency conditions–such as heart attack or stroke–and nonemergency conditions–space adaptation syndrome being the most common–are nearly inevitable among those enduring space exploration. As you probably can imagine, there is not an abundance of readily-available and well-stocked healthcare facilities in the vast reaches of space. The galaxy, in its unimaginably infinite size, is not outfitted with hospitals or minute-clinics every few thousand light years. But perhaps digital health can bridge the gap that a lack of hospital beds can leave. So what will the likes of Musk and his newly christened astronauts need out of digital health? What must happen first is a shift in focus. If an astronaut aboard a shuttle or inhabiting another celestial body were to break his or her arm or suffer a heart attack, treatments could, in theory, be administered. But at the forefront of most every health-conscious individual should not be how we can treat illnesses like these, but how we can prevent them. Shifting our focus to prevention of illness and other medical maladies means meticulously assessing and monitoring of the crew. This is precisely where digital health technologies can come into play so fruitfully. Wearable technology beyond anything you’d see on a jogger here on Earth can effortlessly monitor and report back on vital signs and any irregularities that can be expected when one is making the transition from Earth to space. Likewise, rigorous assessment via digital health readouts can be (and should be, and of course already are) done prior to jettisoning people into space to ensure that they’re as healthy as can be. These can be executed with the help of existing and burgeoning digital tech, like virtual reality. While prevention should be at the forefront, treatment remains a necessary component. As any parent could tell you, no matter the precautions taken, people will inevitably get sick or injured. If the care provided to them can be executed digitally, the treatment processes will become exponentially simpler. The quickest means of digitizing healthcare on other planets will involve bringing the point of care along for the ride. Incredible technology like that in IBM’s Watson has achieved everything from besting past champs on Jeopardy to diagnosing illnesses that had perplexed human doctors. This is the technology of the future–both of healthcare and beyond. Bringing it along to space could streamline the healthcare process for astronauts and perhaps, in our lifetime, moon residents. We have come too far as a civilization, made too many advancements and knocked down far, far too many roadblocks to stop here. But the potential for in-space health complications makes space travel dangerous–even more so than people already recognize. By advancing our digital technologies even further and pairing them with our affinity for space exploration, we could be putting digital and galactic healthcare into, well, a world of their own. Part I: What Has Technology Done to Better Travel? Remember the days when booking a flight across the country required a trip to the travel agent’s office, some back and forth discussion, and ultimately an arm and a leg in ticket costs? Thanks to digital technology, those days are long gone. The past 50 or 60 years have done wonders for the travel industry; as new technology has begun to saturate the market to the point of total ubiquitousness, our lives–and our travel experiences–have improved tenfold. While the days of inflight lobster meals, reclining seats and smoking sections may be largely in the past, other amenities like personal TV screens, wifi connectivity and flight tracking have replaced them tenfold. New technology has not only changed the ways we travel, it’s completely revolutionized the entire in-flight experience from top to bottom. While the amount of legroom on flights has been reduced to a less-than-stellar 30 or so inches, some may not even notice their legs falling asleep thanks to the in flight entertainment options on most commercial airlines. Even outside of what’s offered on a flight, the digitization of entertainment means you have an entire library of your favorite books, magazines and periodicals at your fingertips in addition to the nearly unlimited supply of music. 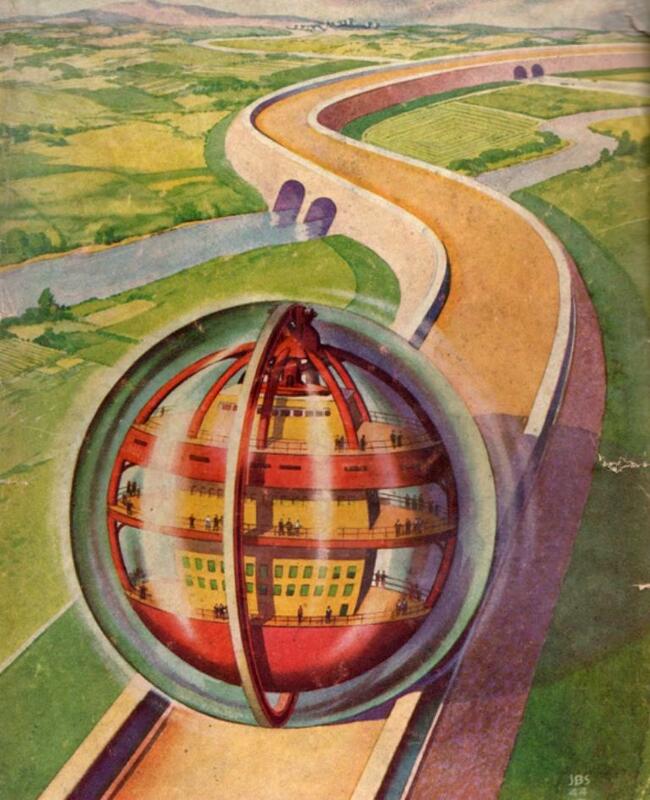 For decades people have imagined what the future of travel would look like. Flying cars, of course, were dreamt of for years and years and years before largely being determined to be out of the realm of possibility. 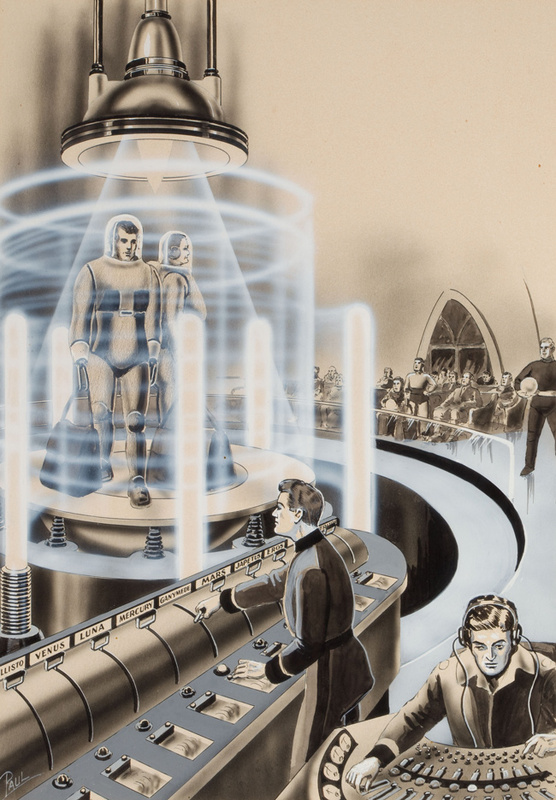 Other dreams of future travel like people shooting across the country in air tubes was, surprisingly, not the strangest of the “what might the future of travel look like” illustrations of pre 21st century predictions. The man who has become a beacon of technological advancement, Elon Musk, has announced that his recent endeavor at SpaceX, Hyperloop is underway. As it turns out, perhaps low pressure, high speed tube travel is the future of getting from San Fransisco to Los Angeles in a half an hour. While technological advancements like the Hyperloop has yet to come to complete fruition, organization insiders anticipate that people will be firing around the country in pressurized, wheel-less Hyperloop trains by the year 2020. The digitization of travel and introduction of new technology hasn’t just changed the accommodations we’re given when we travel or even the modes through which we traverse the country, but also who it is that’s doing the traveling. Technology has effectively streamlined the entire travel process, particularly for the young people of today who are so intimately connected to the technology around them. No longer do travelers have to rely on a linear stepped communication process–traveler to travel agent, travel agent to airline, airline to travel agent, travel agent back to traveler (and that’s just for airline booking)–the entire process from purchasing your tickets to printing them out to booking your hotel has gone digital. Some of these advancements open up numerous options to the average traveler that haven’t formerly been possible. The creation and subsequent torrid takeoff of AirBnB has given younger people the opportunity to not only explore more of the world, but to do so earlier, cheaper, and more efficiently. The most exciting aspect of futuristic travel technology doesn’t lie in what travel can offer us or how it’ll get us there but instead where it’ll be getting us. Elon Musk and his aforementioned aerospace manufacturer SpaceX is pushing the boundaries of travel before our very eyes. While quick vacations to Mars or the Moon might not be on the immediate horizon for Musk and the rest of SpaceX, it’s entirely possible that in a matter of years you and your loved ones might be able to spend a week or two vacationing in the shadow of the Apollo 11 landing site. When traveling around other countries, letting your native country’s embassy know the expected length of your trip and other relevant information during your time abroad is essential regardless if you are away for a few days or a month. Whether it’s giving your best friend or a loved one your whereabouts on your trip, keeping someone at home informed is absolutely necessary when you are abroad for a given amount of time. Before you leave for your adventure, be sure to consult with a doctor to discuss the vaccinations you may need to receive. Keep in mind that vaccinations do vary according to your destination. Meeting with a travel doctor can offer insight in terms of determining which vaccinations or other precautionary measures you should take. Gaining a better understanding of where to receive help in the case of an emergency is especially important wherever you visit. Taking the time to familiarize yourself with your hostel or hotel’s surrounding area will also help you to navigate your new neighborhood regardless of the timeframe you are visiting. Research common means of transportation in your new destination and more importantly, how reliable the taxi system is in the country you are visiting. This way, you can check the driver’s license, company affiliation, etc. before getting into a taxi with someone you may not have the necessary credentials. As every country or society has their own set of cultural norms, social ideologies. etc., it is therefore vital to briefly read up on how to be the best traveler when you go to said destination. This will not only allow you to become a well-rounded traveler at your destination, but will help you acquire skills to travel to your next destination with more ease. Often times looked over by some travelers, keeping track of your passport, cash, credit cards, etc. Also, be sure to not carry all your valuables in one bag or suitcase in case you happen to lose it or an unfortunate event occurs. With your passport continuing to be the primary form of identification for world travel, take a second to make a few copies of this document and disseminate them across your suitcases. In addition to leaving your travel itinerary with someone you trust at home, be sure to also leave a copy of your passport as a precautionary measure. As the longest continuously-inhabited city in South America, Cuzco’s ability to uniquely blend the past with the present throughout every aspect of the city should impress any curious traveler. Located more than 11,000 feet above sea level, high in the Andes, this vivacious city was once the center of the vast Inca Empire in the 15th and early 16th centuries. Beautifully detailed Incan stonework still accent the town’s facade, and many of the buildings standing today were constructed upon the foundations of older Incan structures. Intermixed are colonial touches brought over from the Spanish conquistadors that arrived in 1533, and more recently, the influx of modern tourism has inserted new influences from all over the world. The Plaza de Armas has always been the center of city life. The square, framed by gorgeous colonial arcades, points to the area’s main architectural attraction: the cathedral. Red-and-white striped Peruvian flags line the streets dispersed amongst the rainbow-colored banners of Tahuantinsuyo (the Incan Empire) celebrating the collaboration of cultures that have made the city what it is today. Throughout the town you can find a variety of restaurants, goods, local art, and entertainment. As with any major tourist destination, there are posh restaurants and up-scale hotels targeting the luxury traveller, but for those more interested in embracing the history of the area and culture of the peoples, there’s so much to explore. Spanning the walls of city, you’ll find intricate murals painted by local artists. You’ll see and smell bundles of dried peppers and garlic hanging from exposed beams. Small markets offer everything from freshly cut meats to local concoctions promising to cure everything from diabetes to gout. You’ll also see a glimpse into the realities of the poorer population, as young children offer shoeshines in exchange for a few cents, and women serve up fried guinea pig on a stick. The biggest draw for many people coming to Cuzco isn’t the city at all but the infamous Incan structure of Machu Picchu. Built in the mid 15th century, more than 850,000 tourists now visit annually. To visit, passengers hop aboard the Belmond Hiram Bingham train for a windy 68 miles through the Sacred Valley, passing through rolling plains, rivers, and Mount Veronica, before coming upon a jungle-like scenery with clouds blanketing the sky. The legacy of the Maya Empire resonates throughout Central America. Once extending across present day Guatemala, Belize, El Salvador, southern Mexico, and western Honduras, the Mayans virtually disappeared by A.D. 900. Even today, scholars continue to debate over what caused the decline, citing circumstances as disparate as water loss and earthquakes to diseases and invasions from outside conquerers. This once great Pre-Columbian civilization demonstrated a great degree of prowess in agriculture, pottery, hieroglyphics, calendaring, and mathematics, but what the Mayans may be most remembered for today is their awe-inspiring ruins. To this day, tourist and locals alike flock to these ruins to connect with one of the most impressive and mysterious civilizations on our planets history. Here are five (but certainly not all!) of the most impressive. Tucked away in the jungles of present day Campeche, Calakmul is one of the largest Mayan cities ever uncovered. With over 6,500 ancient structures identified within, Calakmul’s 55 meter (180 foot) high pyramid is by far the tallest and most well-known. The Mayan people often built upon existing temples in order to achieve their highest structures. Calakmul is a great example of this practice. Located in present day Chiapas, Mexico, Palenque might be smaller than some of its neighboring Mayan cities, but the craftsmanship of the architecture and sculptures is unrivaled. One notable site is the Temple of Inscriptions, which is the only Mesoamerican pyramid built to serve as a funerary monument. Aside from being the tallest structure in Uxmal at 115 ft, the Pyramid of the Magician is one of the best preserved Pre-Columbian sites in Mexico. What sets this pyramid apart are the oval layers of structure. Most Mayan pyramids are comprised of mostly rectangular or square layers. While the name Uxmal may mean “built three times” in Mayan, this pyramid appears to have been built in five phases, starting from the sixth century continuing periodically through the 10th century. Perhaps one of the most recognizable temples of the Maya Empire is located at the Chichen Itza site. Nicknames El Castillo, this temple had astronomical significance to the Mayan people. The four faces of the pyramid each have a stairway with 91 steps. Including the shared step at the top, this adds up to 365—the number of days in a year. Between ca. 200 to 900 AD, Tikal was the largest Mayan city with an estimated population between 100,000 and 200,000 inhabitants. Situated in modern day Guatemala, Tikal contains 6 large temple pyramids, restored buildings scattered throughout the area, and many more hidden within the jungle. The largest structure is the Temple-pyramid IV. At roughly 72 meters (230 feet) high, the top of this temple offers one of the most beautiful panoramic views in the world. While there are still so many other Mayan ruins to visit, an avid traveller can’t go wrong with any one of these five. You may not be able to visit all in one trip, but picking one as your central place of exploration and then mapping out nearby structures will prove to be an enlightening and humbling travel experience. The United States has two coasts full of gorgeous beaches, but it’s hard to rival those found in California. Whether you’re looking to swim, surf, sunbath, play volleyball, birdwatch, shop, or all of the above, California has everything you need to enjoy the perfect beach day. With it’s 1,264 mile coastline, it can be difficult to know where to start, but here is a list of my favorites. Around the world, Malibu is known for its luxurious hotels and real estate, its high-end shopping, and its beautiful landscapes. It’s beaches also don’t disappoint. Perhaps one of the most beautiful beaches in the world, El Matador State Beach features rugged cliffs cut apart by steep dirt trails that lead to the shore. Explore the hidden sea caves and stay until the late afternoon to view one of the most mesmerizing sunsets in the world. Big Sur has been featured in songs by The Beach Boys, Bobby Darrin, Alanis Morisette, The Thrills, and more. Jack Kerouac wrote a novel titled by it. Big Sur epitomizes what real California beach living means for many of it’s residents, but somehow it has remained somewhat under the radar to visitors. Maybe that’s what gives Big Sur’s its charm: when you visit, you rarely feel suffocated by tourists. It’s a beach anyone can feel an home at. Thousand Steps Beach is best known for its “private” aqua tide pools and sea cave exploring. It gets its name from the staircase that leads down (and back up!) to the beach. You can regularly catch talented groups of surfers catching waves further out to sea. When people picture Los Angeles life, the Santa Monica Pier is an iconic piece of imagery associated with it. This highly-popular destination see’s millions of tourists every year. For boardwalk-style fun, pearly white sand, and palm trees as far as the eyes can see, this is the beach you want. The pier is famous for it’s roller coaster, especially when it lights up at night. Coronado Beach and the famous Hotel del Coronado has some of the softest sand you’ll ever touch. The water is perfect for surfers and swimmers alike. Crowned by hotels Victorian architecture, it’s understandable why it has been named both a National and California Historic Landmark. If you’re coming to San Diego, a stop by “The Del” is a must. Santa Cruz’s historic boardwalk was established in 1865, and today is still one of the most well-known seaside amusement parks in California. Enjoy rollercoasters, haunted houses, and carnival games as you sample funnel cake, candy apples, or even clam chowder if you visit during the annual Santa Cruz Clam Chowder Cook-off. There are usually plenty of survers lining the oceans horizon and plenty of beachgoers simply enjoying the sun. Point Lobos is one of the most beautiful hiking destinations in the state. You’ll be blown away at the vivid colors that decorate every leaf, branch, and trail that you walk through. Small coves line the coast line, and you’ll be able to spot tons of hidden wildlife as you move through the area. The water can be cold and isn’t the best for swimming, but the sites truly cannot be rivaled. If you wanted an iconic glimpse of the Golden Gate Bridge, it doesn’t get much more picturesque than Baker Beach. There’s also a lovely trail along the cliffs connecting to the beach, perfect for a sunset stroll. The tiny town of Point Reyes Station only holds a population of less than 900 and lies within the greater Point Reyes National Seashore made up of a dozen gorgeous beaches. Limantour beach is where you’ll want to go for the best hiking trails and wildlife. Along the beach you’ll regularly find 100’s of species of birds, seals, ducks, and even whales along the shoreline. Because of it’s beauty and wildlife, it’s also an important nature preserve, so it’s protected by the U.S. National Park Service. You can’t have a list about California beaches without including Venice Beach. The world-famous promenade is lined with bohemian shops, tattoo parlors, and arts and crafts make by local artists. All walks of life come together for food, sun, beach activities, and even some body building at Muscle Beach. This is a great location for people watching, as you’ll see street entertainers with all kinds of unique talents parading for tourists every day of the week.